This post was first published by Joanna Newsome, Account Director on Spreckley’s blog, Spreckley. If you think a trade event is just an excuse for a jolly for your sales team, it’s time to trade that old school mentality for a fresh perspective. 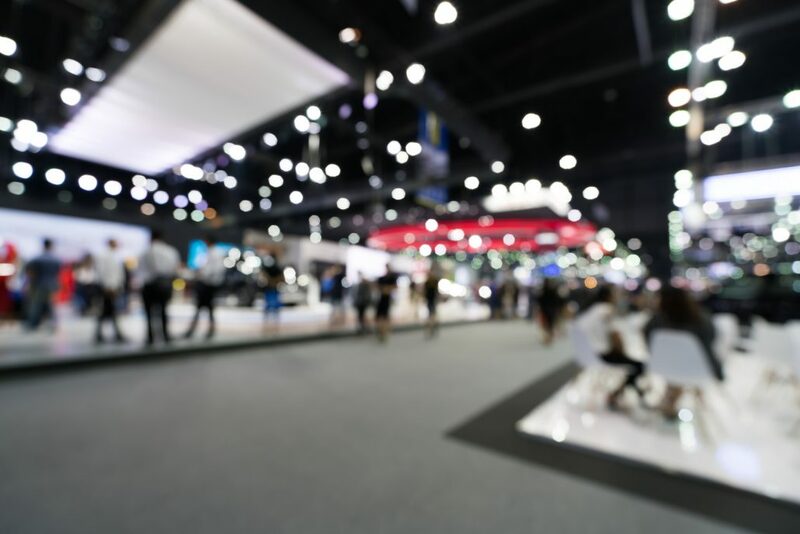 It’s a myth that trade shows in the UK are dying out – although I bet you can name several that no longer run (International Direct Marketing Show anyone? ), I would argue they’ve learned from their mistakes and become more focused, and (judging from my own experience of over 13 years going to all sorts of shows) with a more senior delegate attendance. If you don’t believe me, check out the figures: The Centre for Exibition Industry Research claims that the market for trade shows is set to hit a new peak, growing by 3 per cent year-on-year by 2018. While after the 2008 credit crunch many organisations tightened their belts on “non-essential” marketing activities, including events, as well as a clamp down on employee expenses, those crucial trade shows continued to run, with committed industry stalwart exhibitors and attendees still lauding their value. Events are still highly valued by experienced marketeers as important facets of a marketing plan to achieve business objectives today. This is especially true when you consider the changing environment of events. Instead of being ousted by the huge number of digital and traditional engagement channels now available to marketeers to reach audiences, events have instead embraced and unified them, bringing a truly interactive, integrated experience and more chances to capture those coveted warm leads. Launch something: To truly integrate your marketing, why not treat the event as a launch for a product/service or message? Use the weeks in the build-up to the show to create themed content, run market research, engage your audience on social media, make infographics and more. You could even find a relevant celebrity and get them to launch the product for you on-stand – people will dwell for autographs and selfies, and hopefully have a conversation with you, too. Broadcast live: Events are perfect for using new digital channels and technology to boost awareness of your stand and make you look like a forward thinking team. Don’t be scared of things like Facebook Live, real-time tweet screens, VR demos of your products and RFID stands – even if it’s a bit of a gimmick, it’ll get you visitors. Ask a question: Depending on your event, you have dozens to tens of thousands of people all congregating in the same place – and they just so happen to be your audience! If you could ask potential customers one thing, what would it be? Put it down on paper, or onto an iPad, create a short, sharp survey and ask away. You could offer a decent prize for a random respondent, and capture contact details as a caveat of entering. Once you have all the data, you can analyse it and use it for internal conversations, but also it’s perfect fodder for a press release and infographic. The data is new, it’s credible and (hopefully) of interest to your market. Re-invent promotions: Sure, you’ve probably offered a ‘health check’ to other organisations before as a freebie and a way to capture their details, or maybe an Amazon voucher or two for popping a business card in a fish bowl, but what about something truly unique they can only get from your stand? Creating interesting games or quizzes to play (in the last 12 months I’ve seen a wheel of fortune, a batak game, KITT with professional photos and a Grab-a-Grand machine) is great, but what about making the prize something different? A day in a chocolate factory for the winner and 9 colleagues; a year’s supply of popcorn for the whole office, or sending a beauty therapist to the office for the day, with unlimited treatments? Hustle for a speaker slot: Unless you’re privileged enough to be invited to speak on the main stage, which is usually only the reserve of extremely well known thought leaders and independent organisations (such as an analyst), you’ll be used to getting ‘free’ speaker slots with your stand/sponsorship. Usually, this is a ‘sales’ slot where you have freedom to talk about your products/services and so too will your lectern buddies. But the real coup is getting a thought leader slot, where product pitches are banned and you can discuss the real challenges and barriers to entry of your audience (and likely pick up a few warm leads along the way). This is more of a long-term goal however, and can be worked for by leveraging your PR partners to make you or your spokesperson a respected thought leader in the market. If the organisers know who you are, and you are known for credible insight into the market rather than selling, you’re in with more of a chance. Alternatively, if you do have a ‘sales’ slot – why not buck the trend and cleanse your presentation of any mention of your brand? If people don’t feel like they’re being sold to, they’re more likely to ask questions, trust your advice and knowledge and potentially come to you in the future.